The assumption is stat analysis has been reserved for pro leagues like Major League Baseball and the NBA, since that’s where the money is. Yet, most of us are more likely to know a Little League player than a pro baller. Some of us even have kids in the league (the Little League, that is), or play in our own amateur or corporate leagues. While the games may not make national news, that will soon change with the Little League World Series coming up in August. Now all the scorekeeping will be handled by GameChanger, the stat-tracking app. GameChanger began tracking stats in 2010, and since then more than 4 million games have been scored with the app. 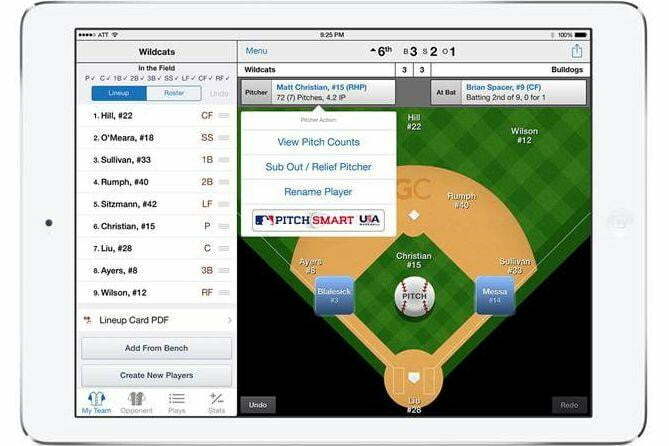 The concept is pretty simple: 125,000 Little League coaches from all over the United States input their teams’ stats into the app, which then shares instant box scores, spray charts, and analytics in real time. The GameChanger website and iPhone app provide scorekeeping and stat tracking along with other team management help, in addition to real-time game updates, stats and recaps for fans, friends and family. Other organizations work with GameChanger besides Little League — MLB, the American Softball Association, National Pro Fastpitch (formerly the Women’s Pro Softball League), Naismith Memorial Basketball Hall of Fame, Under Armour, and Nike among others — but its focus is on amateur teams. They know you don’t have to be a pro to care about the game. If you run a corporate league and want to track your stats, GameChanger can handle that. Team admins can add and manage teams for free. Fans can sign up to follow teams, but for in-depth stats, a team admin has to approve a fan’s relationship as family or as a player. In general, stat sharing is at the discretion of the team admin, which keeps stalkers from getting weird. Premium membership is required for a lot of the excellent spectator features. Live streaming of games, in-game alerts, season charts, game recap stories, game notification emails, schedules, and results will cost $8 a month or $40 for the year. The Little League World Series kicks off August 20 in Williamsport, Pennsylvania. If you can’t be there but you have family in the game, you can keep up with them via GameChanger.